Why have one drummer when you can have two? Why have just two drummers when you could have two violinists, two guitarists, two trumpeters, a percussionist, a pianist, a cellist, a bassist, a horn player, and every one of them can sing? The Portland, Oregon-based indie band, Typhoon realized that having more is the most appropriate configuration for representing music. And honestly, who can blame them when the end result is such an elegant mix of beautiful sounds. Forming in 2005, they have come out with four other albums/EPs , with the first three consisting of an uncertain mix of Country Western and European inspired songs. 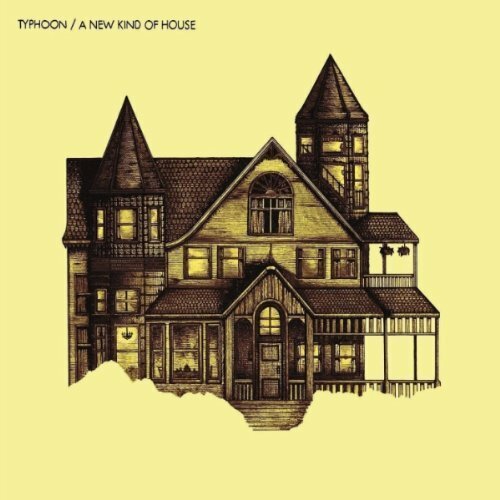 Typhoon’s latest release, A New Kind of House, (released spring 2011) is an EP follow-up to their 2010 full-length album Hunger and Thirst, which seems to have stuck with a specific sound and is a perfect addition. When you listen to Typhoon, you know you will have to listen very carefully so that you can hear all of the pieces of instrumentation, vocals, and clapping. There is also the likelihood of getting chills at some point, probably around the time when all thirteen members are singing. Already being prepared, the tracks on A New Kind of House followed the same reaction and feelings as I had after listening to Hunger and Thirst. I was relieved to know they were keeping with the same amazing sound and had found a musical niche for themselves, which probably is hard to do when you have so many members in the band. The five tracks on this album have this slower, more reflective feel (lyrically as well), yet just as packed with ascensions and dissensions within each song, crashing cymbals, clapping, and emotional trumpets that are so characteristic of Typhoon. I tend to listen to the music first before seeing any pictures or watching any videos, that way I don’t make any judgments on physical stereotypes. In Typhoon’s case, I started listening to them a year ago when they came out with Hunger and Thirst, and haven’t seen them until researching for this review. For over a year, I have been picturing them as an older crew, based on lead singer, Kyle Morton’s deeper voice, the mature components and arrangements of the instrumentation, and the lyrics tending to focus on growing older. Well, I was mistaken and was in a bit of shock when I saw their performance of “The Honest Truth” on David Letterman (August 4, 2011). They were far younger than I imagined – possessing that indie, love for music and community spirit, which becomes so inspirational when hearing and watching the music they are creating and performing. I then watched the music video for “The Honest Truth,” which furthered this notion, specifically when everyone is in the kitchen all singing together like it’s no big deal that they are sending chills down my spine. The nonchalance of their combined brilliance only makes their music that much more respectable. For those of you who are Typhoon fans, there are a quite a few awesome connections from their Hunger and Thirst album with their newest release. You’ll notice that the lyrics for “Mouth of the Cave” (Hunger and Thirst) appear in “Honest Truth.” Since “Mouth of the Cave” is my favorite under-a-minute-long song, I loved that they were able to slow down the group-singing for their EP. How genius to throw in a beautifully constructed piece to the bridge of their latest single. Another, more obvious, connection is “CPR / Claws Pt. 2” with “Claws, Pt. 1,” which is ironic that 1 comes after 2. The similarities between the two are very subtle. Going back and forth between lyrics and music composition to see where they compare made my head hurt (this could also be due to the beginnings of a head cold I’ve seem to come down with). 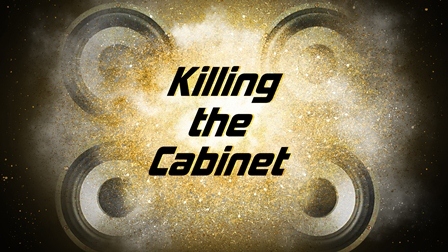 After much processing, the end result seems to be the way the song is compiled and the storyline. Musically they both go from similar beginnings, journeying through the multiple changes in song, hitting a vocal solo, with a powerhouse instrumental piece, and ending with vocals. Lyrically, “…Pt. 2,” seems to be the vicious result of the pretentious claws of life that inevitably pursue the innocence that is described in “…Pt. 1.” The storyline seems to be a stronger link between the two songs, but the musical journey does have similarities. There are other lyric connections between the two albums, and probably a ton more than what I have found. This includes the final track on A New Kind of House (“Firewood”) ending with “…I will pay my debts, I will start anew,” and the first track “Starting Over” (Hunger and Thirst) beginning with “I started a new beginning…” This may just be me making connections when it was not done purposefully, but great things can happen that aren’t planned. Though, I tend to have a greater connection with songs off of Hunger and Thirst, I feel that A New Kind of House is no lesser of an album. It keeps to what we love about Typhoon, the ability to bring about such deep feelings and have so much power without having to make loud noises. Their power comes from all those instruments that each have a specific role, played in a way that makes you feel exhausted and emotionally drained like you were just listening to Cymbals Eat Guitars (which is loud noises – beautiful loud noises, but definitely plugged-in and boisterous). Typhoon understands how music can affect your soul and the ways in which it can create a magnificent experience. A New Kind of House follows right along with Typhoon’s brilliant mindset and even with five tracks, you feel that you have just listened to a full-length album.